Idyllwild Park campground has 88 campsites set among large pine and mature oak trees about 1 mile north of the town of Idyllwild. The campground has potable/drinking water and flush toilets. There are no hookups or dump station here. Pets are welcome on a leash. Each campsite has a table, fire ring and grate. Our favorite Idyllwild Park campsites are: 9, 15, 17, 26 and 50. 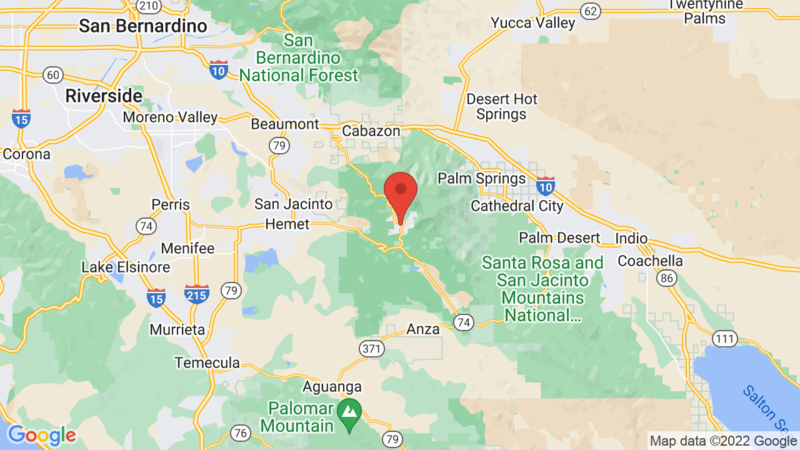 The Riverside County Park includes 202 acres and is tucked into a canyon of granite boulders at the 5,000 foot level in the San Jacinto Mountains. The Park also has a playground, picnic/day-use area and an amphitheater. Outdoor recreation includes hiking and mountain biking 5 trails, rock climbing, picnicking and wildlife viewing. You can also cast your fishing line in the water at nearby Lake Fulmor or Lake Hemet. Campers can also enjoy visiting the village of Idyllwild (recently named “100 Best Small Art Towns in America”). Other Riverside County Parks you may consider include Hurkey Creek and Lake Cahuilla Recreation Area. 9, 15, 17, 26 and 50. Visted Idyllwild Park Campground lately? We'd love to hear about your adventure. Did you find us useful? Did we forget something? Anything our community should know before heading out to Idyllwild Park?